The Champs-Elysées is quite crowded on a Sunday afternoon, but the cinemas are not. 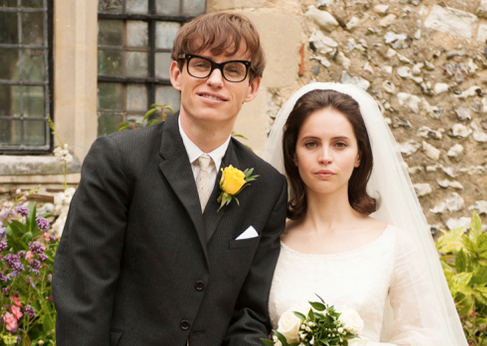 Fewer than thirty people were in the theatre for the Theory of Everything, despite five Oscar nominations, the story of Stephen Hawking and Jane Wilde the arts student he fell in love with whilst studying at Cambridge in the 1960s. Hawking was a bright but unfocused and rather socially inept student of cosmology, scraping into Cambridge and given just two years to live following the diagnosis of Lou Gehrig’s disease when only twenty-one. The trailer shows his first major fall, a real smackdown on an unsympathetically hard surface in a Cambridge quad. The story follows the love story between himself and fellow Cambridge arts student, Jane Wilde. Over the course of their marriage, we watch Stephen’s body collapse as his academic reputation soars, and fault lines were exposed that tested the boundaries of their relationship and dramatically altered the course of both of their lives. There’s not a lot of physics – it really isn’t a quantum mechanical primer – the stuff about black holes is fuzzily vague and the blackboard equations aren’t on-screen for long enough to check their accuracy. It’s a good people drama, a bit schmaltzy and Britishly uptight, a nice glimpse of what Cambridge might have been like in the late 1950s. The male lead – who was he again – is definite Oscar bait and Jane’s primly C of E middle classness evoked a personal shudder or two. I did find some of the editing bizarrely careless and they took a few serious liberties with the history of physics. Jane scribbles her phone number on a napkin and thrusts it into Stephen’s hand after a party. The 0223 prefix written on the napkin didn’t take effect until some time later. There’s a beautiful image of the two of them at a May Ball where Sagittarius is clearly visible in the starlit firmament, impossible to see at that elevation and time of year. Irritatingly, when the family goes to Bordeaux on holiday, they seem to have bent time a little too far, driving a model of car that was not released until five years later. Hawking, like so many scientists, is brilliant when addressing the “what” and the “how”. He is on less certain ground, however, when talking about the “why”. He cannot explain where the laws of physics came from or why they work, neither can he explain his faith in the non-existence of the afterlife, for example and attempting to do so via reductio ad absurdum uses metaphysics rather naively. Science is universal, faith is of necessity personal. He asserts his uncomfortable atheism early in the film and one can’t help but wonder whether as his ideas hardened into a more securely held and more strident version, that this in part contributed to the failure of his marriage. OK, enough nitpicking. Six and a half out of ten, a 2:1 but not a First. I went to an Alpha Course launch party last night including free wine and nibbles. I was made to wear a name badge; in light of which, I found myself musing on the philosophy of Immanuel Kant instead of watching the video, a kind of reverse praxis. It left me thinking that church needs remodelling to improve user experience, like Facebook. In the grand and relatively newly-discovered liberal belief system, the spiritual equivalent of the Sky Fairy, there’s no such thing as a silly idea, just an idea whose time has not yet come. And, ideas that never will be because some hegemonic pensioner has blocked it at the committee stage. Not forgetting, of course, ideas that just piss people off. So, here’s a few suggestions of my own. Liturgical clog-dancing to a trance-like, hypnotic beat to encourage the practice of inner spirituality. 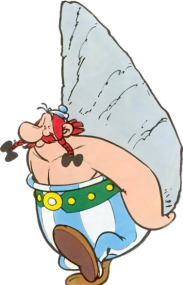 This to include pebble-holding with closed eyes and Theravada chanting. Once a month, replaced by Adult Church with mud and optional wrestling. Much noisier worship, to include throwing paper aeroplanes in the shape of doves to encourage younger worshippers. This to include a visit from the liturgical panda, complete with mitre, when passing the Peace – an idea I got from visiting Disneyland – there’s a nice ecology tie-in here. Replacing the prayers of confession with a short aromatherapy session, so everybody feels better about the things they’ve done wrong without getting all grovelly about it. As an incentive, a points system for sin, in the style of traffic violations, including public naming, shaming and in serious cases, tarring and feathering. Might be an opportunity for a bit of interfaith dialogue, instead of a prayer closet at the end of the service, a shari’a court could be made available to implement punishments. All female church greeters to be dressed in matching bikinis in colours consonant with changing liturgical seasons, to give people the impression that they’re visiting Abercrombie and Fitch. This is a work in progress, really, so I welcome ideas from kindred souls. Or not. Sundays are usually quiet in Paris. Church bells ring. Pedestrians reclaim the streets, mothers with push chairs and fathers holding the hands of their sons. It’s peaceful, the parks and gardens of the City of Light are tranquil in the soft winter morning light. But, not today. Paris saw a gathering of Biblical proportions, numberless, as people converged on the Place de la République in Paris in the biggest turnout since the end of the Second World War. I had read somewhere that one was supposed to say a special prayer if a congregation of Exodus magnitude gathered. I didn’t know the prayer, so I said the Shema. Twice, just to be sure. Central Paris yesterday was wound up like a watch spring. It was a day of sirens, helicopters, news bulletins; police cordons and anxious crowds; of young children led away from schools to safety. Police vehicles moving at very high speed eastwards and the closure of the eastern Ring created road and rail chaos, impacting almost everyone. 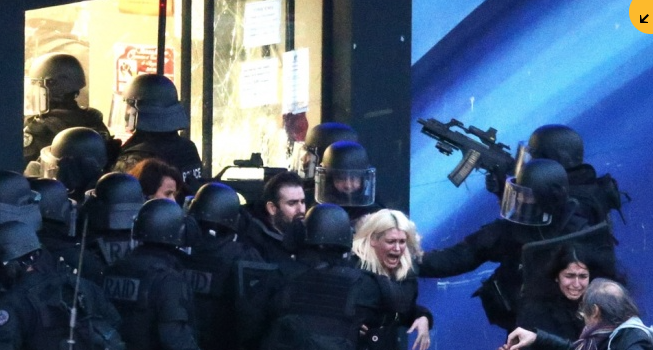 It was a day, like the previous two, of blood and horror in and around Paris, one that ended with France unsure whether this drama is now truly over or a predictor of more cultural, religious and political violence to come. Twin co-ordinated operations at the kosher market in eastern Paris and the industrial park near Dammartin-en-Goële to the north-east resulted in the efficient dispatch of those who clearly preferred martyrdom to surrender at a cost of several innocent hostages’ lives in addition to the carnage at Charlie Hebdo the day before. 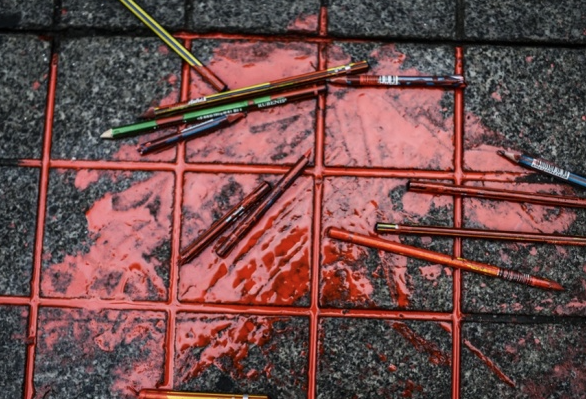 The killing of a dozen people in Wednesday’s attack has prompted an outpouring of tributes from cartoonists around the world, flooding the Internet with images ranging from the elegiac to the scabrously rude. If, as some have suggested, this was indeed France’s 9/11, perhaps the shock was so much greater; the violence having come from their own, French-speakers, market-grown terrorists, speaking the argot of the heavily-immigrant banlieues as well as the French of Voltaire. 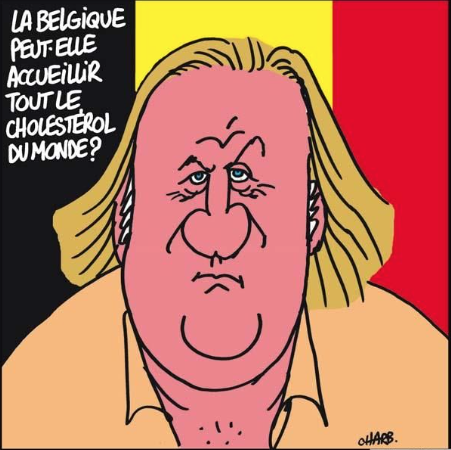 CH has always been at the sharp end of political and social satire and its origins were in the ‘do it because we can’ mentality of the 1960’s French radicals who went further than anyone else to lampoon, ridicule and poke sharp sticks at almost everyone who set themselves up as a target. Most are either offended or amused – precisely the intention of the cartoonists since that is the purpose of satire. But, disturbing and hitherto unanswered questions remain. 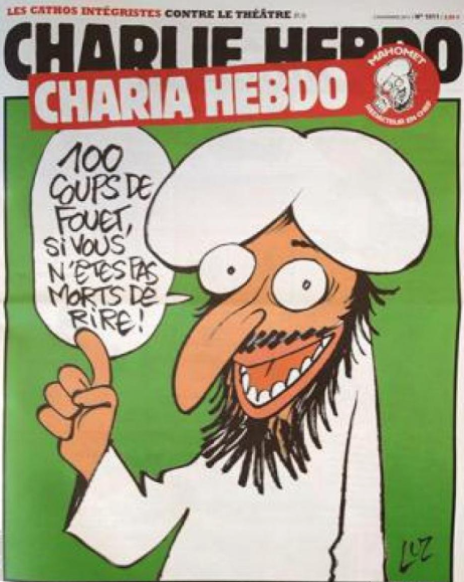 If Muslims in general are offended by caricatures of Mohammed, how far are the rank and file prepared to go? Despite much soothing platitude from senior imams last night, distancing their version of Islam from the bloodshed and carnage, it would seem that for some, mere offence is not enough and they invoke darker passages in the Qu’ran and the hadiths to support their view. One hardliner refused last night to unilaterally condemn the CH killings – invoking a verse from the Qu’ran inviting those who ‘insult a prophet’ to be killed. But to whom is this verse addressed; to other Muslims, the kuffar, or everybody? Because the Muslim response to it matters. If the kuffar, he is ignorant of his blasphemy and should not therefore be held responsible. If to the Muslim, he should know better than to be rude about one whom his faith teaches to love more than family. Indeed, to which ‘prophet’ does the verse refer? Questions that should have been asked months ago now clamour for answers. 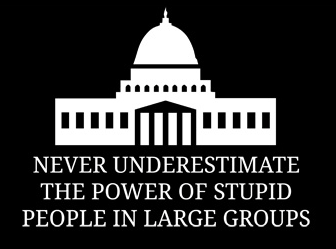 How did the perpetrators slip the intelligence net? How large and how organized is the radicalized part of France’s Muslim population, the largest in Europe? How deep is the rift between France’s secular values, of individual, sexual and religious freedom, of freedom of the press and the freedom to shock, and a growing Muslim conservatism that rejects many of these values in the name of religion? And how can the rift be bridged, if at all by politicians who do little but bleat forlornly about unity? Twelve dead. Four injured, so far, and a crowd, all holding pens, is growing in number in the Place de la République. Indeed, all over France, people are spontaneously gathering, as the murders at the offices of Charlie Hebdo seep into people’s consciousness and which might well be a 9/11 moment for the French, striking as it does at the heart of what François Hollande described as ‘la liberté’. Tomorrow is a national day of mourning. 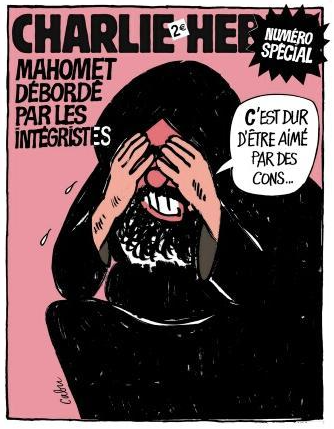 All the French magazines are producing parody Charlie Hebdo black covers – from both right and left. The Islamists have seriously miscalculated the political reach of the satirists, who are hugely popular in France. It is a deep irony that one of the murdered cartoonists was Georges Wolinski, a Tunisian Jew, half Sephardi and half Ashkenazi. They didn’t kill randomly; Al-Qaeda’s Yemeni branch had planned this for months taking revenge for perceived slights on the Prophet. Like everyone else, the images of people bursting in to the office waving AK47’s and screaming ‘Allahu Akbar’ in front of a few old guys sitting round a table having a meeting is repellent. These killers, however, were calm and deliberate. They knew who they were coming for. Because some people think it’s not OK to publish satire and especially not OK to be provocative about the Prophet of Islam. We have news for you. Satire – the poking fun at authoritarian figures – which in free societies, people do – is a healthy form of freedom of expression. Nobody gets killed, nothing more sinister happens than a few ruffled feathers, but the point and the protest has been made. I rather wonder what the world would think if the Swiss Guard besieged the offices of Charlie Hebdo because it had been rude about the Pope. Ironically, Michel Houllebecq’s new novel “Submission” was published in France today. 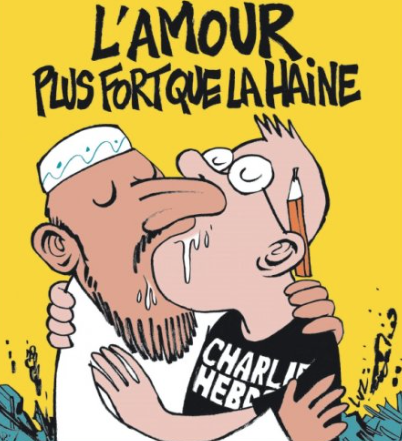 It is a fiction (let’s be clear) about a futuristic France under Muslim control and he is now under police protection since the cover of his book appears, not unsurprisingly, in the most recent edition of Charlie Hebdo. The book has sparked fierce controversy. Laurent Joffrin, editor-in-chief of left-leaning French newspaper Libération, argued that the novel “will mark the date in history when the ideas of the far-right made a grand return to serious French literature”. “This is a book that ennobles the ideas of the Front National,” he added. Alain Jakubovitch, president of the anti-racism group LICRA, added: “This is the best Christmas present Marine Le Pen could wish for.” Whether the Far Right ideology has mass appeal or not, the Charlie Hebdo outrage will do little to weaken it. Not since ‘The Satanic Verses’ has there been such a resurgence of interest. Salman Rushdie, its author, released the following today: “Religion, a mediaeval form of unreason when combined with modern weaponry, becomes a real threat to our freedoms. He is quite right if he describes religion as being deaf to entreaty, debate and dialogue, which militant Islam does quite well. I hope he does not only defend the ‘art of satire’, worthy as such a defence is. Satire gives us a virtual platform, a soap-box on which we can stand like an actor on stage. People can throw virtual cabbages at us as much as they like. However, defence of those whose freedom of speech is either trampled upon or physically threatened is a prime directive in a free society. First Amendment freedom without responsibility, however, is damaging and counterproductive. Some universities are so morally compromised by the relativism that they have preached for so long that they are becoming incapable of hearing a view they do not agree with without riot and protest in the meetings. Jewish students, in particular have been shouted down and not given the courtesy of a hearing. And, he is right. Furthermore, if a God needs murderers to stand up for him, he’s not worthy of people’s worship.